Chancellor Straney represented UH Hilo at a brief ceremony preceding the inaugural lecture for the Pacific Islands Climate Science Center held in Honolulu last Friday. Other participants were (l-r) John Peterson, assistant vice-president, University of Guam; Chancellor Straney; Kevin Hamilton, director, International Pacific Research Center, UH Mānoa; Loyal Mehrhoff, field supervisor, U.S. Fish and Wildlife Service; Deanna Spooner, coordinator, Pacific Islands Climate Change Cooperative; Cynthia Kolar, interim director, Pacific Islands Climate Science Center; and Vasillis Syrmos, associate vice-chancellor, UH Mānoa. 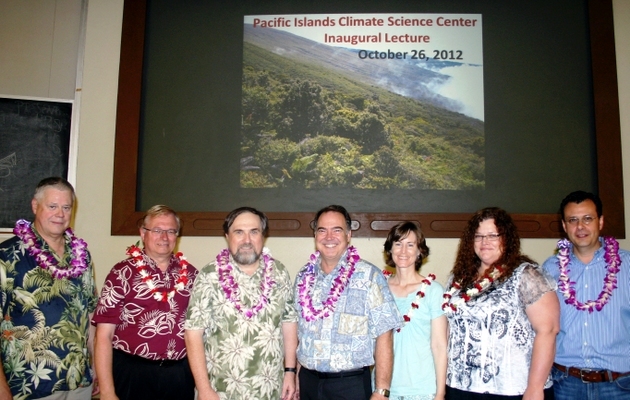 Chancellor Straney represented the University of Hawai‘i at Hilo at a brief ceremony preceding the inaugural lecture for the Pacific Islands Climate Science Center (PICSC) held at the UH Mānoa campus on Oct. 26. PICSC is one of eight regional climate science centers recently initiated by the U.S. Department of Interior as joint projects hosted by university partners. 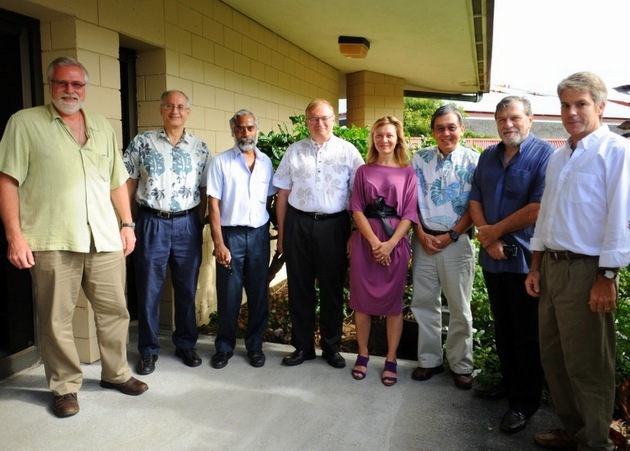 The PICSC university consortium is led by UH Mānoa, UH Hilo and the University of Guam. The focus of work supported by the new center is on the effects of climate change on the ecology of the Pacific islands and implications for land and wildlife managers. Total funding to UH researchers provided through the new center is expected to be about $2 million per year. Chancellor Straney is the principal investigator for the UH Hilo portion of the project. The inaugural lecture by Loyal Mehrhoff, field supervisor at the U.S. 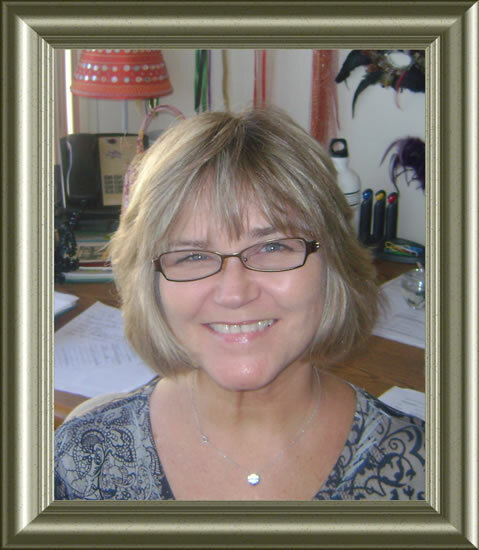 Fish and Wildlife Service, and Deanna Spooner, coordinator of the Pacific Islands Climate Change Cooperative, was titled Navigating Change: Climate Science and Collaboration in the Pacific. It was the first in a series of lectures about stakeholder-driven science related to Pacific climate and ecology. 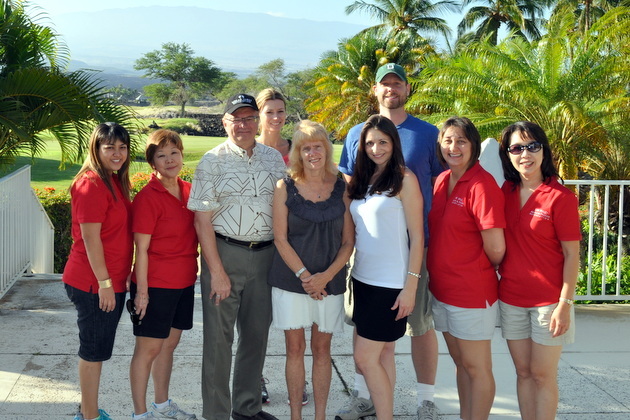 Delegation from the Université de la Nouvelle-Calédonie stand with UH Hilo officials. (l-r) Cam Muir, UH Hilo director of sustainability and associate professor of biology; Dan Brown, UH Hilo vice chancellor for research and economic development; T. Touraivane, UNC Professor of computer science; Don Straney, UH Hilo chancellor; Anne Rouault, UNC head of research administration; Randy Hirokawa, UH Hilo dean of the College of Arts and Sciences; Michel Allenback, professor of geology and vice president of the UNC Scientific Council; Todd Shumway, director of UH Hilo Global Exchange. A delegation from the Université de la Nouvelle-Calédonie (University of New Caledonia) met with University of Hawaiʻi at Hilo officials Oct. 23-25. UNC is a French university and part of the Academy of New Caledonia located in the southwest Pacific Ocean. The group met with Chancellor Donald Straney, vice chancellors, deans, staff and faculty to discuss an academic cooperative and exchange agreement that was initiated in 2009 between the two institutions. 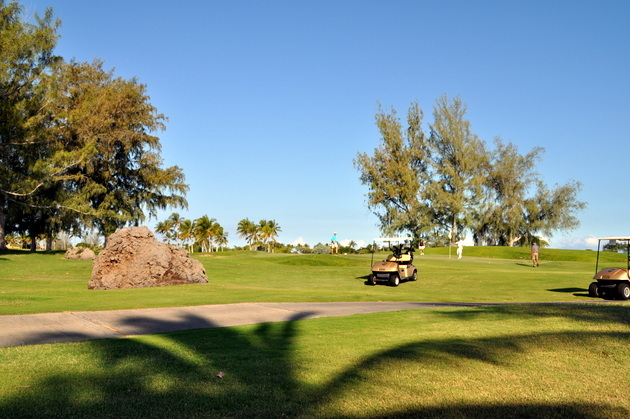 It was a gorgeous day in paradise on Saturday for the 9th Annual Golf Tournament hosted by UH Hilo Alumni & Friends. 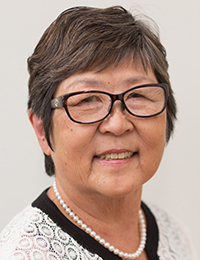 The event raises scholarship funds for students attending UH Hilo. 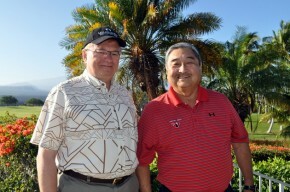 Chancellor Don Straney (left) and Barry Taniguchi, president and CEO of KTA Super Stores, at the golf tournament. The University of Hawaiʻi at Hilo Alumni & Friends Association hosted its 9th Annual Golf Tournament on Saturday, Oct. 20, at the Waikoloa Kings Course. The annual event was initiated in 2004 to raise scholarship funds for students attending UH Hilo. Scholarship recipients are selected based on academic merit. Applicants must be an alumni of UH Hilo or have an immediate family member who is an alumni of UH Hilo. Twenty-five scholarships have been awarded thus far. The 2012 scholarship recipients are Holo Ho‘opai, Jodie Schulten, Melissa Sullivan and Lissa Tsutsumi, who each will receive a $1,500 scholarship. 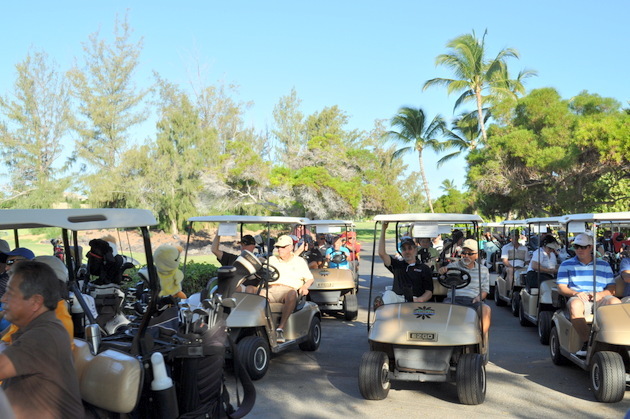 Golfers in their carts ready to tee off. In the center cart are (l-r) John Countess and Harvey Nakamura. Chancellor Straney stands with members of the tournament planning committee and other volunteers. Front row (l-r) are Melodie Agabayani, Sandy Tokuuke, Chancellor Straney, Carol VanCamp, Jennifer Zelko, Michelle Araki, and Yu Yok Pearring. Back row( l-r) are Nico Verrisimo and Brooks Bancroft. Chancellor Straney (center with light shirt) joined elected officials, ranchers, representatives from the State Department of Agriculture and other government agencies, and other stakeholders at an event commencing $4.15 million worth of improvements to the state-owned slaughterhouse in Pa‘auilo. Improvements to the facility will help secure the future of Hawai‘i Island’s grass-fed beef industry. Photo courtesy of the Office of the Mayor. The County of Hawai’i held a blessing Tuesday to commence $4.15 million worth of improvements to the State-owned slaughterhouse in Pa‘auilo. Funds for the improvements were appropriated by the State Legislature and released by the Governor directly to the County of Hawai‘i to implement improvements that will help secure the future of Hawai‘i Island’s grass-fed beef industry. Read full story (update: link removed, story no longer available).